In this page you can find all the associations partner of the international network. Would like to join the network? contact us! Volunteers Initiative Nepal (VIN) is a non-religious, apolitical, non-governmental and non-profit organization, whose mission serves to directly empower Nepali vulnerable people and promote a greater sense of volunteerism in Nepal. Since 2005, VIN has been working to improve the socio-economic conditions of Nepal’s marginalized groups, especially women and children. The Organisation mobilizes skilled local and international volunteers in various development sectors, including educational programmes, trainings and counselling activities that significantly contribute to enhance the quality of life of Nepali disadvantaged people. One of the main goals of the Organisation is to promote equality, economic well-being and basic human rights through structured holistic development projects which encourage the advancement of the local communities. VIN’s development approach is based on four strategic pillars: education, health and environment, tool for economic well-being, the provision of basic infrastructure. Building the programmes on these key pillars will ensure an integrated and sustainable impact on local people and will give the greatest chance of independence for Nepali working communities. VIN offers international volunteer programmes in various fields like women and youth empowerment, children’s development, teaching, environment & conservation, public health, reconstruction & sustainability, management & administration, journalism and public interest. All these volunteer programmes are run in selected disadvantaged communities in Nepal in order to maximize the impact of volunteers. RUCHI is a non-political, non-profit Organisation committed to the development of rural India. Founded in 1980, the Organisation is working in over 100 villages in the Himalayan foothills of Himachal Pradesh State, Northern India. The major focus areas for RUCHI are the following: sustainable management of natural resources; promotion of rural technologies; health care; education and awareness generation; micro-credit village projects. In particular, the Organisation transfers knowledge to village communities through education and empowerment, seeing themselves as an agent of change in terms of voluntary activity. RUCHI gives priority to the reduction of poverty and suffering by addressing the problem of contaminated water supplies, food shortage and inadequate shelter and supports new grass root agencies using the TRC to develop and strengthen the capabilities of other NGOs and to demonstrate working models of appropriate local techniques. By generating the desire in the underprivileged to improve their own living conditions, RUCHI help people live a life of dignity and self-respect. RUCHI hosts several International volunteers that have the chance to get involved in community development programmes while experiencing the local culture and environment. 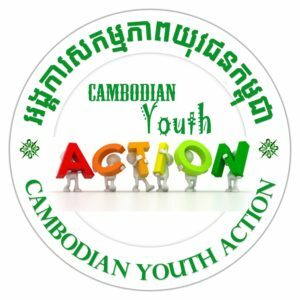 Cambodia Youth Action (CYA) is a non-governmental, volunteer based organisation founded in October 2010 where all the staff are working voluntarily toward their mission and vision. The Organisation’s main purpose is to develop a world where global citizens are fully participated voluntarily contributing to the creation of a more peaceful and sustainable environment. 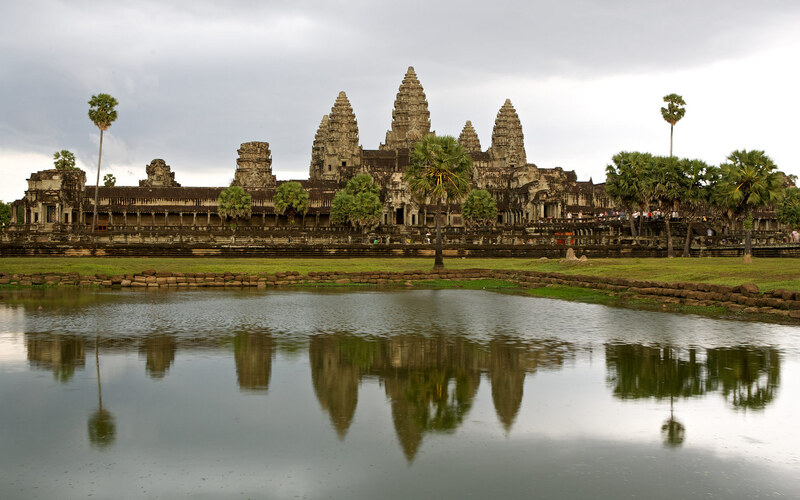 CYA believes that through international voluntary service activities, people around the world will have the chance to meet, share, discuss and learn from each one in order to enhance sustainable development in rural/remote communities in Cambodia. In particular, the Organisation has been working on three main specific areas concerning children and teenegers’s education, community improvement of the living standard, and environmental preservation and protection. Throughout the year CYA is organizing different volunteering programmes for overseas volunteers and with international partners. The programmes include: international workcamps/short term Volunteer; Group/bilateral programmes; long and middle term Volunteer (2 month – 1 year); weekend/mini workcamps. VILÁGjÁRÓ ÖNKÉNTES NON-PROFIT PUBLIC LTD.
Világjáró Önkéntes Non-profit Public Ltd. was founded in summer of 2013 in Debrecen, Hungary , by experienced international youth workers and youth experts, who established the Ltd. to react on the lack of youth needs. The Ltd.’s main goals are to develop youth active citizenship skills and attitudes, train and support youth workers and youth experts, and organize events that can support the social integration of youngsters. So far Világjáró Önkéntes has successfully implemented a six-sided international training in the autumn of 2015 which was held specifically for the youth workers working with EVS, focusing on the methods and activities that need improvement during EVS and sharing good practices. The Ltd already took part in several other Erasmus+ projects as partner (youth exchanges, capacity building projects) and also organized their own youth exchange, where youngsters from 5 countries spent more than a week together in the topic of media, media consumption. Világjáró Önkéntes works continuously on the active promotion of Eramus+, EVS and mobility programmes on a local level. Joint Association is a Social Promotion Association based in Milan. The association operates in the non-profit sector from more than 12 years and offers to young people international mobility and learning opportunities in non-formal contexts. Joint Association in specialized in projects related to the non-formal education and the intercultural learning. It addresses to young people between 17 and 30 years old and follows pedagogical paths for high schools students and for the most weak sectors of the society such as disadvantaged young people. Joint Association’s main activities are related to Erasmus+ Programme, created by the Directorate-General for Education and Culture of the European Commission, which aims at promoting the mobility opportunities and at enhancing the skills of young people, organizations and trainers. a) To encourage and facilitate a national and international mobility of youth and youth/social workers (especially for groups with fewer opportunities). b) To expand and improve social cooperation and volunteering projects with other associations both locally and internationally. c) To empower youth in order to promote critical thinking for active citizenship and participatory democracy. d) To enhance values of tolerance, human dignity, interculturality, solidarity, empathy, cooperation, social justice and social integration. e) To promote a healthy and ecological lifestyle, and a sustainable development protecting the environment. f) To provide youth services. In order to achieve these objectives, Xeración Valencia develops and implements projects for youth and youth/social workers in order to improve their daily work and to enhance their European values.